Running Android apps on Windows 10 is relatively easy if you have Bluestacks installed. We already wrote about Bluestacks stuck on initializing error, but users reported Bluestacks failed to connect to server error as well. This error can cause problems with certain apps, so let’s see how to fix it. Bluestacks failed to connect to server, how to fix it? Bluestacks error failed to load channels unable to connect to the Internet -This is another variation of this error, and it’s usually caused by your antivirus, so be sure to add Bluestacks to the list of exceptions. Bluestacks 3 no Internet connection – Sometimes you might not have an Internet connection in Bluestacks. This can be caused by your proxy, so be sure to disable it. 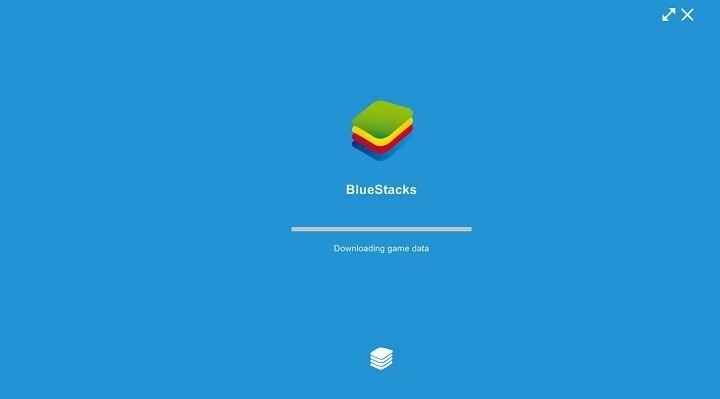 Bluestacks connection failed – Sometimes you might get Connection failed message, and if you encounter this problem, be sure to change your network settings. According to users, the common problem that can cause Bluestacks failed to connect to server issue is your antivirus. Your antivirus can sometimes block Bluestacks without your knowledge, and in order to fix that, you need to make sure that Bluestacks is added to the list of exceptions in your antivirus and firewall. If that doesn’t help, your next step would be to disable certain antivirus features or your entire antivirus. Speaking of problematic features, be sure to disable HTTP checking feature if available on your antivirus. In addition, add Bluestacks to the exclusions list in HTTP filtering section. In the worst case scenario, the only option might be to remove your antivirus. Once you remove the antivirus from your PC, check if the issue is still there. If not, you should consider switching to a different antivirus solution. 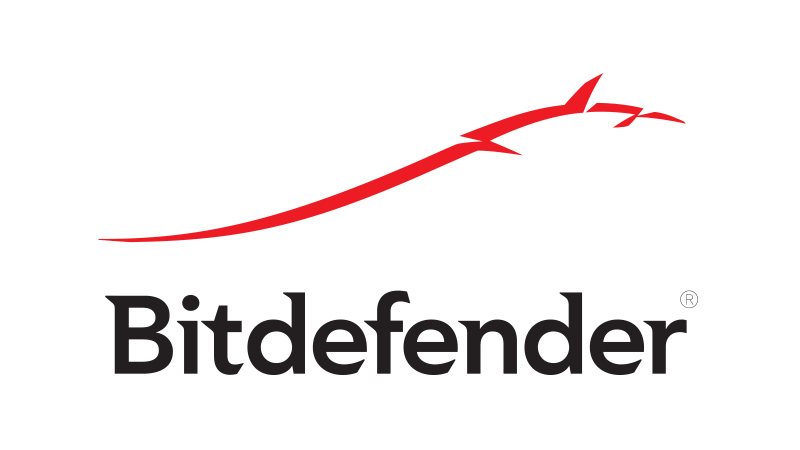 There are many great antivirus tools on the market, but if you want an antivirus that won’t interfere with your system and applications, we strongly suggest that you try out Bitdefender. Right-click the network icon in the bottom-right corner and choose your network from the menu. 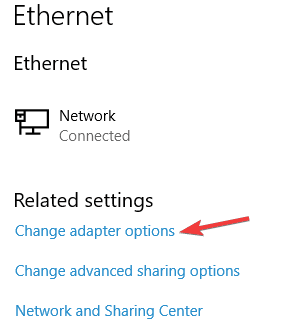 In the Related settings select Change adapter options. 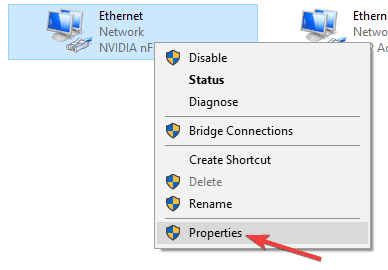 Once the Network Connections window opens, select your network connection, right click it and choose Properties from the menu. 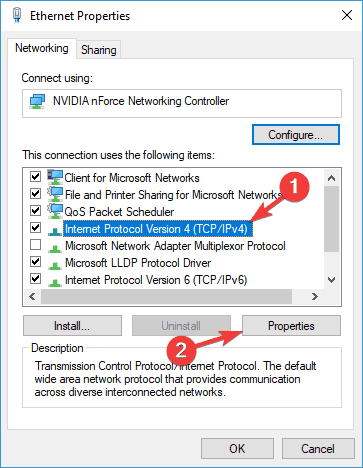 Select Internet Protocol Version 4 (TCP/IPv4) and click the Properties button. 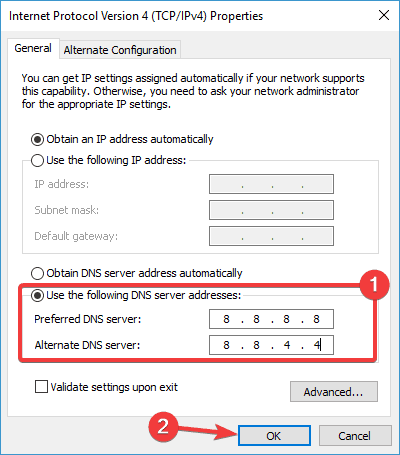 Choose Use the following DNS server addresses option and enter 8.8.8.8 as the Preferred DNS server and 8.8.4.4 as Alternate DNS server. You can also use 208.67.222.222 as Preferred and 208.67.220.220 as Alternate DNS server. After you’re done, click OK to save changes. Sometimes you might not be able to download and install applications online due to failed to connect to server error, but you can circumvent this problem by downloading the .apk file from a third-party source and installing it manually. Keep in mind that installing applications from third-party sources isn’t the safest practice, therefore use this solution only when necessary. Locate Bluestacks installation directory. By default the application should be stored in C:Program Files (x86) folder. Locate Bluestacks folder, right click it and choose Properties from the menu. Go to Security tab and click the Edit button. Select your username from the Group or user names list and check Full control in the Allow column and click Apply and OK to save changes. After changing the privileges, try running Bluestacks software again. Open Network Connections and locate your network connection. Right-click it and choose Disable from the menu. 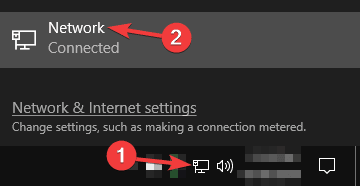 After your connection is disabled, wait a few seconds and then right-click the connection again and choose Enable from the menu. Alternatively, you can also do this by restarting your router. To do that, simply press the power button on your router to turn it off. Wait a few seconds and then press the power button to turn on your router again. If you keep getting Bluestacks failed to connect to server error, your only chance might be to reinstall Bluestacks. There are several ways to do that, but the best one is to an uninstaller software such as IOBit Uninstaller. 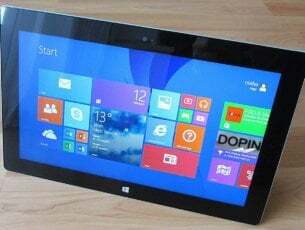 In case you’re not familiar, uninstaller software is a special application that can remove any program from your PC. 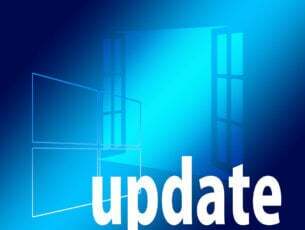 In addition to removing the selected application, the uninstaller will remove all files and registry entries associated with it. This will ensure that the application is completely removed and prevent any leftover files from interfering with your system. Once you remove Bluestacks, install it again and check if the problem is resolved. To avoid this problem in the future, be sure to download and install the latest version of Bluestaks on your PC. According to users, in order for Bluestacks to work properly, you need to make sure that it’s set to automatically obtain the IP address. If this option isn’t enabled, you might encounter Bluestacks failed to connect to server. Open your connection properties. We showed you how to do this in one of our earlier solutions. Now select Internet Protocol Version 4 (TCP/IPv4) and click the Properties button. 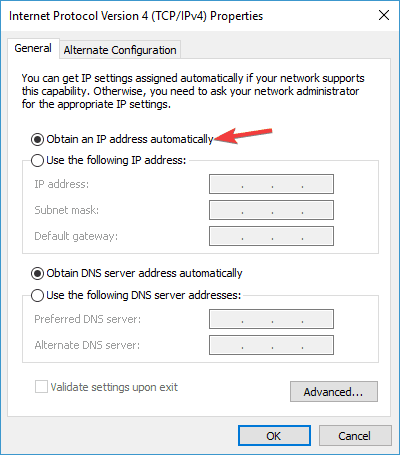 Select Obtain an IP address automatically and click OK to save changes. After doing that, the problem with Bluestacks should be completely resolved. If you keep getting Bluestacks failed to connect to server message, it’s possible that your Internet connection isn’t working properly. To check that, make sure that you can access other websites on your PC. Alternatively, disable all network applications that might be running in the background. Lastly, try using a wired connection. Although the wireless connection has its benefits, it’s possible that there’s some interference causing this problem to appear. Sometimes Bluestacks failed to connect to server message can appear due to your proxy. 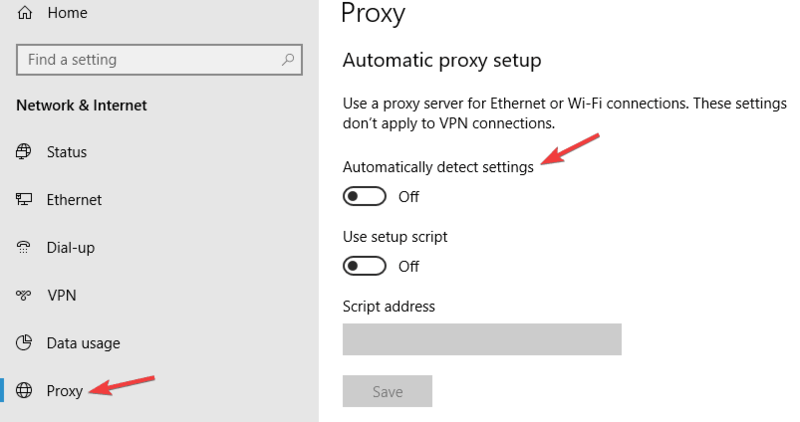 Many users are using proxy in order to protect their privacy online, but sometimes your proxy can cause issues with certain applications to appear. From the menu on the left, select Proxy. 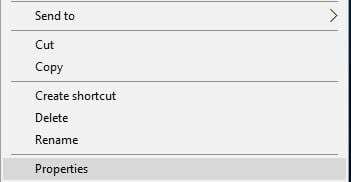 In the right pane disable all options. 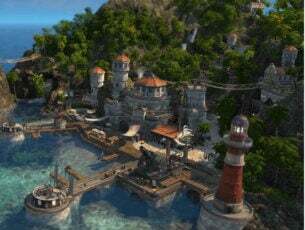 After doing that, your proxy should be disabled and you’ll be able to use Bluestacks again. If you’re concerned about your privacy online, a better solution would be a VPN such as Cyberghost VPN. Press Windows Key + R and enter msconfig. Now click OK or press Enter. 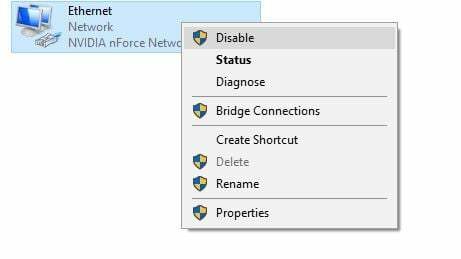 When System Configuration window opens, navigate to Services tab. 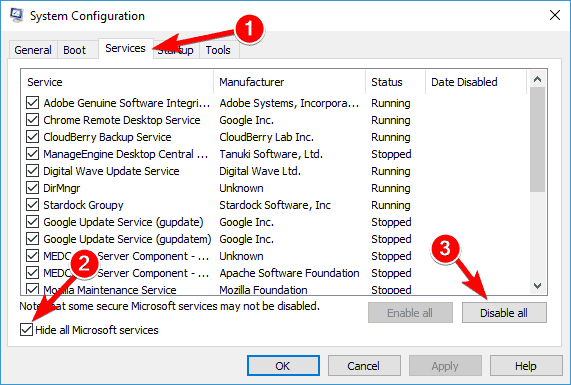 Check Hide all Microsoft services and click Disable all button. 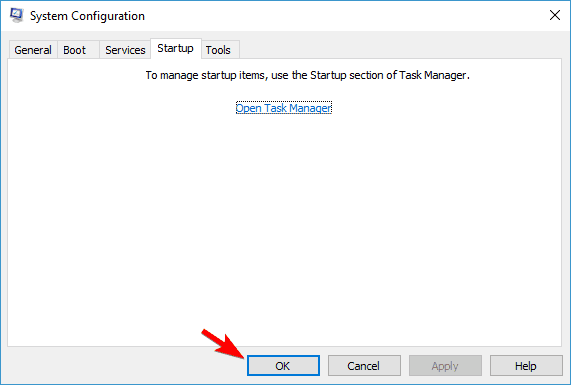 Now move to the Startup tab and click Open Task Manager. 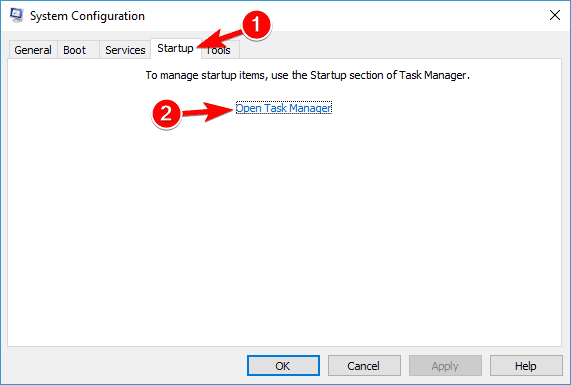 When Task Manager opens, a list of startup applications will appear. Select the first item on the list, right-click it and choose Disable from the menu. Repeat this step for all applications on the list. 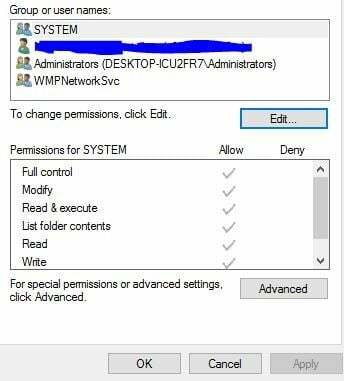 Once you disable all startup applications, go back to System Configuration window and click Apply and OK. Restart your PC to apply changes. Once your PC restarts, check if the problem is still there. If the issue doesn’t appear, it’s rather likely that certain service or application was causing it. To find out which application is causing the issue, you need to enable disabled applications and services one by one or in groups. Keep in mind that you’ll have to restart your PC after enabling a group or services or apps in order to apply changes. Once you find the problematic application, disable it or uninstall it and the issue will be resolved. Bluestacks is a great tool, and if have any problems while connecting to a server, you should be able to fix them by using one of the solutions from this article. Editor’s Note: This post was originally published in August 2016 and has been since completely revamped and updated for freshness, accuracy, and comprehensiveness. 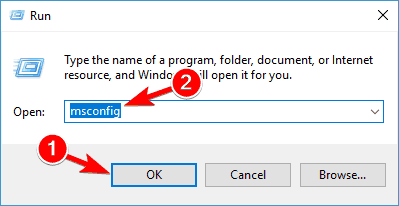 Fix error x80070002 on Windows 10?